South Ferriby is an excellent site for a cement works – it has the natural materials needed to make cement and good communication links. A plant was first established on the site in1938 by Eastwoods Cement Company Ltd, which was taken over by Rugby Portland Cement in the 1960’s. Cemex is a global company, based in Mexico, and employing 50,000 people in 50 countries. It is committed to working closely with the communities in which it operates and has an active programme of community support tailored to the needs of local people. Cemex is always happy to help schools looking at the manufacture of cement. It is proposed to start trials for the burning of Climafuel shortly. The only acceptable current source of this for our purposes has been identified from the London area. Similar material has been burnt successfully however for a number of years in cement kilns throughout Europe. Climafuel looks like a shredded paper and consists of treated household wastes, screened paper, cardboard, wood, carpet, textiles,and plastics. The material has been subjected to a rapid drying and composting process to remove biodegradeable matter and produce a solid, clean and non-hazardous fuel. The Environment Agency, is responsible for regulating and monitoring emissions in South Ferriby. The works is committed to improve emissions, in particular dust and noise, in line with the conditions of its operating permit. A phased approach has been adopted to implement these improvements. The first phase includes a detailed analysis of all the sources by which emissions can leave site. The second phase includes the collection of data required to determine emission levels and impact, and a third phase will include the implementation of improvement measures. 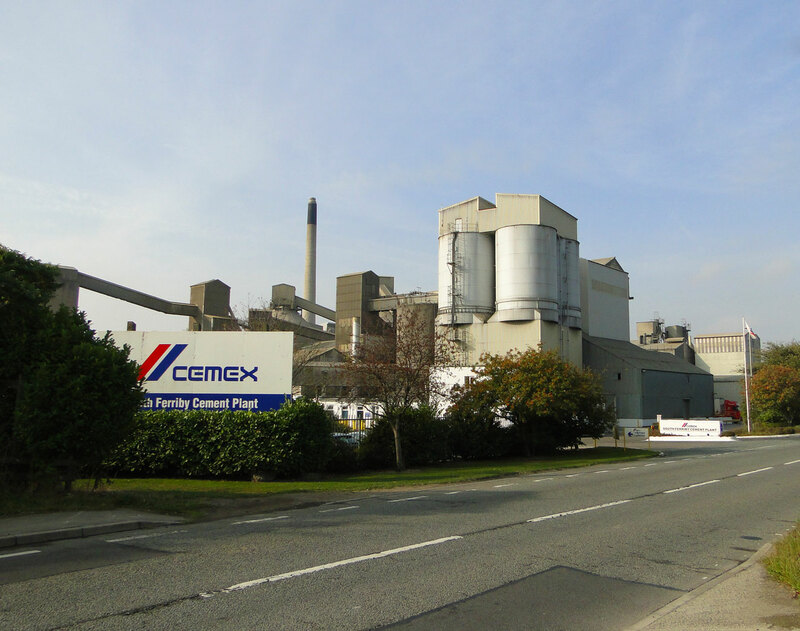 Cemex excavates both clay and chalk (key components of cement) from the hills above South Ferriby and they are taken by conveyor belt to the works. Following considerable capital investment it has been possible to do away with blasting. An hydraulic excavator is used in its place. 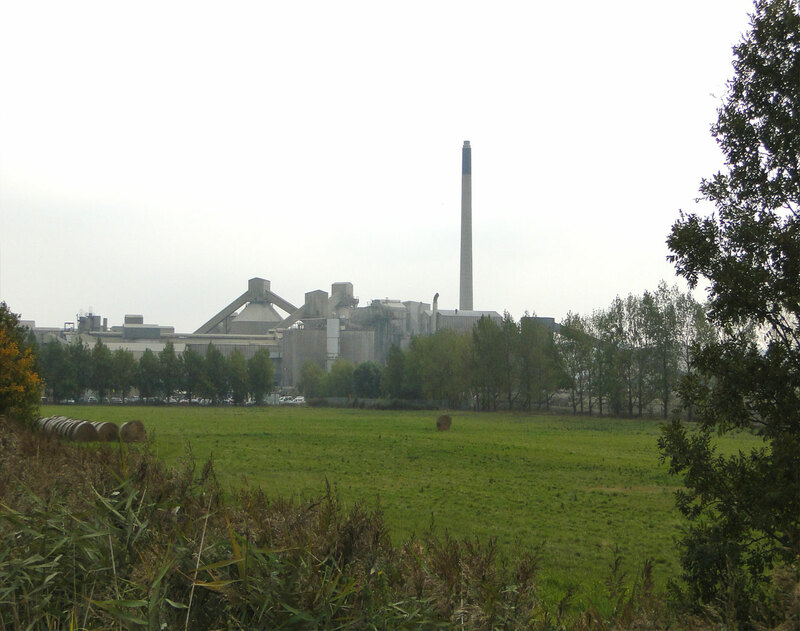 The cement plant operates an on-site landfill, which receives waste produced on site. This is mainly Cement Kiln Dust (CKD), a by-product from the cement-making process. Given that this landfill will soon be up to capacity, a new storage solution is required to allow for continued cement production at the works. The company is therefore planning to submit a planning application for over-ground storage of CKD produced at the site. This would involve the construction of six purpose-built, bunded and clay-walled cells above ground, which would be capped and sealed with water-tight plastic sheeting, before being covered in topsoil and grass. They would be further screened by trees to minimise visual impact.